Localizado no Barrio Lastarria, um bairro cultural e boêmio no coração de Santiago. 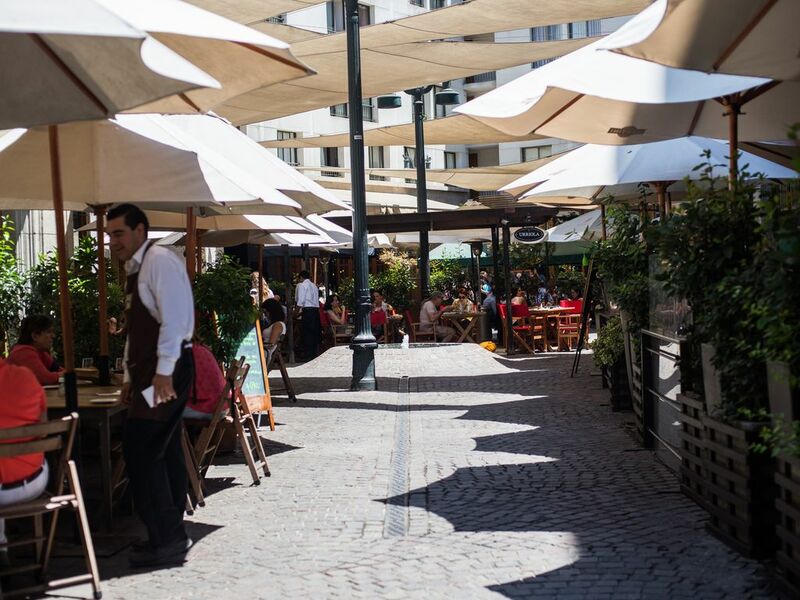 Melhores restaurantes, bares e cafés estão localizados em Lastarria. 100 metros de distância da estação de metro Universidad Catolica. Perto de Bellavista e Bellas Artes. Apartamento com 1 quarto, totalmente equipado para os turistas. conexão a internet sem fio, TV a cabo, cama king size, vista de Cerro San Cristobal. Duas camas de solteiro opcional. Os viajantes podem usar o apartamento todo. Estacionamento disponível por um custo extra. Lastarria é um dos bairros mais proeminentes em Santiago. 5-10 minutos a pé de distância, pode encontrar: 1) Metro U. Catolica, 2) Centro Cultural Gabriela Mistral, 3) uma oferta completa de restaurantes, bares e cafés, 4) Parque Florestal, 5) Bellavista, 6) Museu de Bellas Artes, 7) Cerro Santa Lucia. É um bairro seguro, onde muitos turistas residem. Se você vier de metro, você precisa sair na estação Universidad Catolica, e depois caminhar apenas 100 mt. We thoroughly enjoyed our time in the Best Apartment in Lastarria 5. It’s location is squarely in the middle of some of the best restaurants/bars in the city and an easy walk to Bella Vista neighborhood as well. We spent 3 days visiting museums, historic areas and simply enjoying the nighttime ambience. Joaquin and Humberto were gracious and helpful hosts. We recommend highly. Perfect location! We walked everywhere and could get to any main attractions in less than 20 minutes but most were 5-10 minutes. Several restaurants just outside our apartment. We decided we wanted the place one more night and booked us that morning! Wonderful stay and Humberto's grandmother couldn't have been more hospitable. Her breakfast she served was amazing! Quiet area of town and the place was clean and comfortable. Awesome place - it was right above a nice little square that you can go down and get coffee/food/drinks. Though, it could be a tiny bit noisy at night, but it didn't bother me much. There were a few minor things that could use a repair (sliding door, etc.) but again, also not a big deal. Humberto was extremely responsive and I would stay here again.